Have you ever wanted to walk on water? 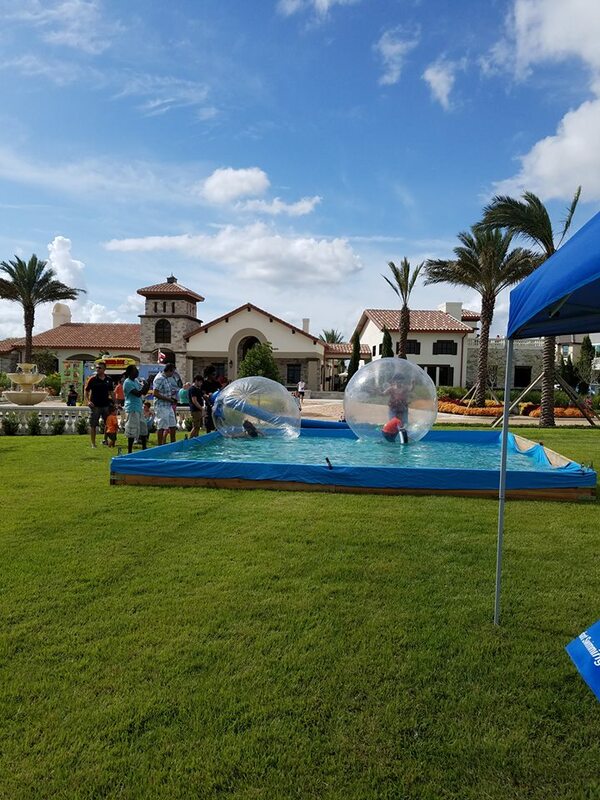 Now is your chance to hop inside of one of these 6 ft water balls and try to balance yourself on 1 foot of water. 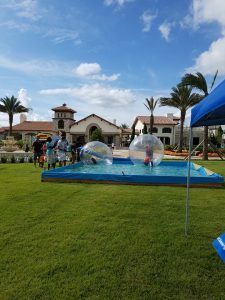 Kids and adults under 150 lbs can experience what it is like to walk in a hamster ball on water. The water ball set up comes with 2 attendants to help you in and out of the balls. Riders are in the balls for approximately 3 minutes at a time. Water balls are safe for all , however are best used during cooler temperatures. The trained staff comes with waivers that participants or a responsible adult must sign prior to riding.